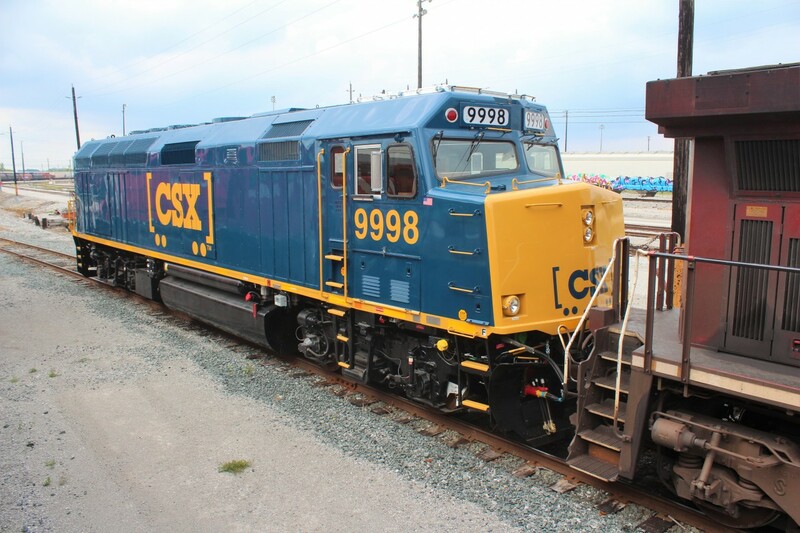 Railpictures.ca - Paul Santos Photo: Newly refurbished CSX F40PH-2 9998 was a surprise guest at the yard today. | Railpictures.ca – Canadian Railway Photography – photographie ferroviaire Canadienne. Caption: Newly refurbished CSX F40PH-2 9998 was a surprise guest at the yard today. How did this make it here? This is pretty nifty Paul.